In 2016, my colleagues and I at The Andy Warhol Museum were in the midst of working on several digital offerings for educators, including our online curriculum and the D.I.Y. Pop app that walks users through Warhol’s silkscreen printing process. 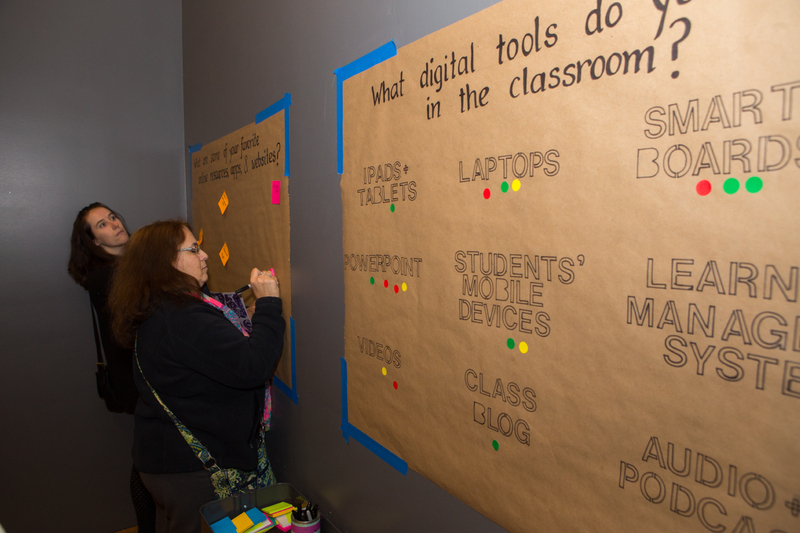 During our annual Teacher Open House event, we transformed an area of the museum’s lobby into a space where teachers were invited to participate in facilitated and unfacilitated activities, sharing how they use technology, testing existing digital resources, and providing feedback on how to improve our digital offerings in the future. 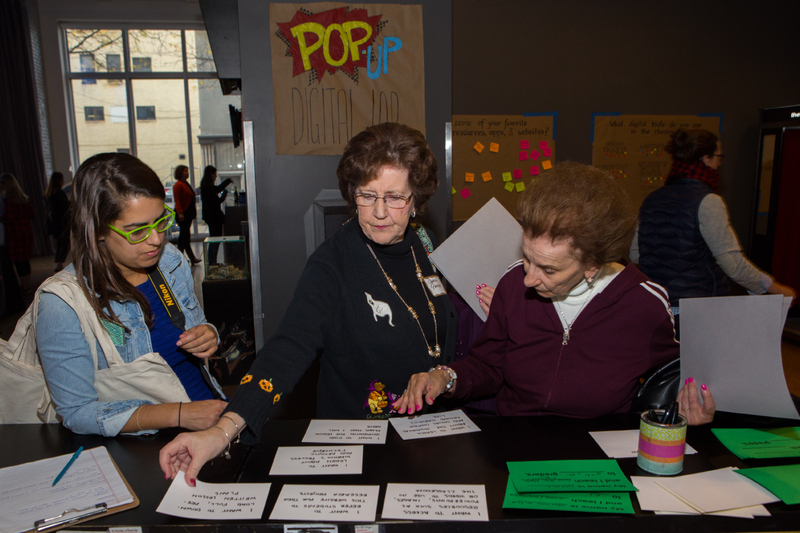 The Pop-Up Digital Lab was a fun and fast way to collect data as we start new digital projects and revamp old ones. 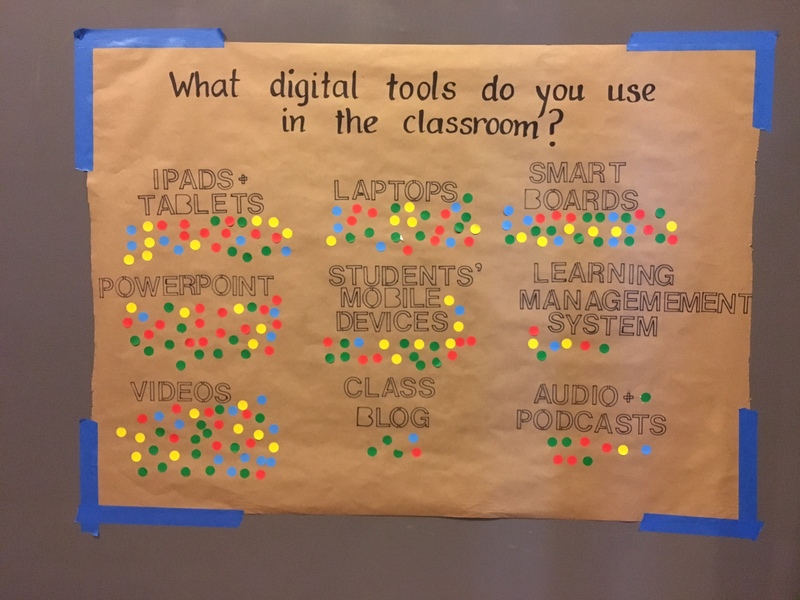 Inspiration wall: In this unfacilitated activity, educators used Post-it Notes to answer the question “What are some of your favorite online resources, apps, websites?” and added dot stickers to indicate the kinds of digital media and devices they use in the classroom. I want to find inspiration for lesson plans I will write. I want ideas for art-making activities. I want access to resources such as powerpoints, images, or videos to use in the classroom. I want to download full, pre-written lesson plans. I want to learn about the historical and social context around Warhol’s life. I want to learn about Warhol’s process and artistic technique. I want to learn about specific artworks. I want to refer students to this website for their research projects. 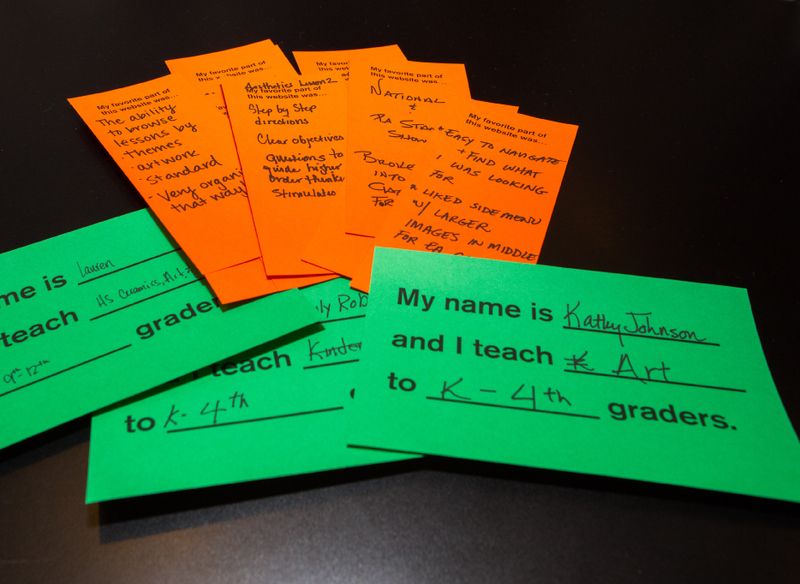 First, we asked teachers to eliminate statements that didn’t reflect why they might go to The Warhol’s education page. Afterward, teachers ranked the remaining statements by importance. We took a photograph of their top priorities—along with the grades and subjects they teach—as a quick snapshot of each data set. To code the data collected from twenty participants, we awarded points to each statement based on how it was ranked. Cards that were ranked as most important received eight points, second most important received seven points, and so on. Cards that were eliminated in the first round entirely received zero points. We then calculated the average score each statement was awarded overall and by the grades that the teachers taught. It was interesting to learn that educators’ needs vary based on the age group their are teaching. Elementary school teachers were more interested in hands-on activities than specific content about Warhol’s art and life. We were surprised to find that teachers weren’t interested in pre-written plans, but instead desired modular activities and discussion points that they can build their own unique lessons around. We took these learnings into consideration when redesigning our online lessons: we’ve broken down the lessons into discrete sections so that teachers can incorporate a smaller section into their curriculum, and have added elementary and middle school adaptations that are more tailored to the needs of those age groups. For the future, we’ve considered building an interface that allows educators to save small sections of lessons that they can use to build a custom teaching plan.